Six days after the death of western artist Frederic Remington on December 26, 1909, his wife Eva wrote in her diary “It seems very lonesome without Frederic. The whole house is filled with his presence. Feel as though all had gone from me...Frederic being taken away the very last of 1909 left me alone and all my life entirely changed.” Seventeen years later Nancy Cooper Russell, the wife of another illustrator of western America, Charles M. Russell, felt just as devastated at the passing of her husband, and she too realized there would be many changes. For both ladies, perhaps the most significant change was that the person who provided for their financial well being was gone. But fortunately, both artists left behind an inventory of sketches, paintings and sculptures that if marketed prudently could provide a steady income for the women. To make this happen, they would need to keep alive the public’s interest in their husbands’ art. By so doing, the women elevated Frederic Remington and Charlie Russell to the position of America’s most notable illustrators of western life. Shortly after Frederic Remington’s death in Canton, New York, his wife Eva returned to their home in Ridgefield, Connecticut, to begin the lonely task of putting her husband’s estate in order. She knew very little about their finances; it was within her culture to assume that her husband would take care of the business end of their marriage. Remington provided a good living through the sale of his paintings and sculptures but he also had a lot of debt. He was worried about his finances in 1907 after he lost money on investments due to a downturn in the economy. He was also concerned that he was over budget on the construction of their new country estate in Ridgefield. Unfortunately, at the time of his death from a ruptured appendix in late 1909, Frederic Remington’s estate, consisting of investments, real estate, and art, was valued surprisingly low, even in 1909-1910 dollars, at $75, 416. Eva was left with the arduous task of turning Remington’s estate into a source of income to sustain her in the high fashion to which she had become accustomed. Within a month after Remington’s death, a representative from Knoedler’s Art Gallery in New York City advised Eva to sell her husband’s paintings “while the public was still interested.” Taking a cue from Knoedler and her lawyer, George Wright, Eva began taking charge of the necessary business of marketing Remington’s sketches, paintings and sculptures. As early as February, 1910, she met with a representative from Collier’s Magazine about reproducing the sketches Remington sold to Colliers, and she met with Riccardo Bertelli of Bertelli’s Foundry concerning the reproduction of Remington bronzes. 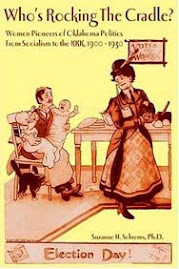 By March 18, 1910, Eva was quite satisfied. She commented in her diary “All is going Beautifully, many bronzes sold.” Eva was not experienced in the business world, especially the art business world, but she seemed to understand the value of her husband’s work. When Knoedler informed her that they had a buyer who would pay $1800 for a Remington painting, Eva refused stating, “will not sell them cheap.” Eva also knew that selling Remington’s paintings was a one time deal; there would be no others produced. However, she could continue to reproduce Remington’s bronzes as long as she controlled the original molds. In that way a steady supply of bronzes, if marketed efficiently, would continue to supplement her income. One way to market Remington’s art was to build on his image as a man who associated with those who became legendary in the annals of western history. Men like General Nelson A. Miles who ran the campaign against the Cheyenne in south central Montana, and characters like Colonel William F. Cody, Owen Wister, and perhaps the most notable, Theodore Roosevelt. So when it was suggested to Eva that she needed to gather material for a Remington book, she immediately seized the opportunity and asked Fred’s associates to send her their stories about her husband’s western adventures. While Eva waited patiently for them to send her their memories of Frederic, she sought further ways to generate income and economize. She asked several institutions, including the Smithsonian, to assess and offer a bid for Remington’s collection of Native American Artifacts. And , she placed the Ridgefield estate on the market. Eva proved her business acumen. In 1910, fifty-one percent of her income came from the sale of Remington art, and in 1911 and 1912, she received over seventy percent of her income from her husband’s artwork. 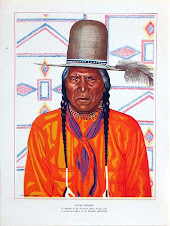 At the very same time that Eva was marketing Remington, the art consumer was beginning to recognize another illustrator of the American West, Charles Marion Russell. Historians seem to agree that Remington and Russell never met. However, as the story goes, they were both in Montana in 1881, where twenty year old Remington sought an escape from the mundane routine of everyday work life in New York, and where sixteen year old “Kid” Russell sought adventure as a cowboy on the Montana frontier. It was in Montana that both Remington and Russell started their careers as artists of western life. 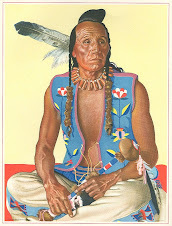 But, it was Remington who was the first to receive national recognition as an illustrator for Harper’s Weekly and Colliers and as an artist of western landscape and sculpture. 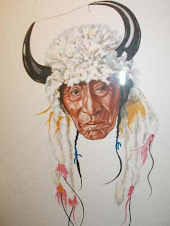 It was Eva Remington’s opinion that her husband “started the school and all must follow who do the West.” To many connoisseurs of western art, however, it was Charlie Russell who best represented the American West in his paintings. If this is true, the credit belongs to Russell’s wife, Nancy Cooper Russell. Unlike Eva Remington, Nancy Russell took care of the business end of her husband’s career. So much so, that she was often criticized for her shrewd business ability and tough tactics when negotiating commissions and sales of her husband’s work. Nancy knew that after Charlie's death in 1926, she would need to “make a living” from his estate. Like Eva, Nancy inherited an estate that comprised real estate, various investments, and a sizable inventory of her husbands paintings and sculptures. In planning a marketing strategy for Charlie's art, Nancy had a gallery and showroom added to her newly constructed home , Trails End ,in Pasadena, California. From her studio, she displayed her husband’s work and sold direct to the public, thereby eliminating the costly commissions charged by most art galleries. 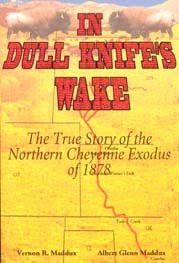 Her next project was to take over the business end of publishing Charlie’s book of western stories entitled Trails Plowed Under , which at the time of Russell's death was in the planning stages with Doubleday Page and Company and ultimately published in 1927. By 1929, Nancy had also published a book entitled Good Medicine, a compilation of Russell’s beautifully illustrated letters. Nancy Russell promoted her husband for two reasons. One was pecuniary; she needed the income. The other was that she believed that Charlie had expressed in his writings and art the true character of the American West, and she wanted him to be memorialized as the “last cowboy.” Ultimately, Russell’s unique way of expressing himself in a cowboy vernacular has become synonymous with western America, and his stories about cowboy life in Montana helped to create American nostalgia for a simpler time when the frontier meant the freedom of the open range, the independence of the cowboy, explorer and trapper, and the romantic vistas inhabited by Native Americans. Nancy Russell maintained her husband’s estate until her death in 1940. It was difficult for her to keep sales up during the economic depression of the 1930s, but she did manage to maintain an income from the estate. Her only concession to the economy was that she was forced to cut her asking price on many paintings. At the time of her death, her estate was valued around $50,000, which included 31 oil paintings, 41 watercolors, 9 black and white drawings and 136 bronzes. Most of the value of her estate was in real estate.The appraised value of the Russell art was only, $3315. Eva Remington died in 1918, nine years after the death of her husband. 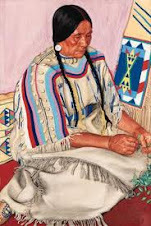 Although she was able to market Fred’s art during the rest of her life, after her death Frederic Remington more or less dropped from public mind for many years. This was mostly due to the haphazard way in which her executors handled her estate and the remaining Remington art. She bequeathed her estate to the Ogdensburg, New York Public Library. Library personnel stored Remington’s unsold sketches, paintings and bronzes in an unsecured area of the library where a fire broke out. Fortunately, most of the paintings were salvaged and transferred to what ultimately became the Remington Art museum. Frederic Remington was the first to forge the way west when he introduced the eastern art patron to his western characters and landscapes. Nancy Russell’s expert marketing skills helped place her husband alongside Frederic Remington as America’s most notable artist of western life.